Mike is happy to provide a free, 30-minute IT security consultation at your convenience. 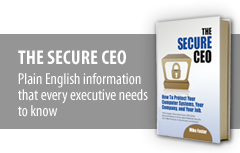 He’ll address your IT security concerns, providing you with an evaluation and suggestions. Just complete the form below so we can take a look at Mike’s schedule , we’ll be in touch within 24 hours.